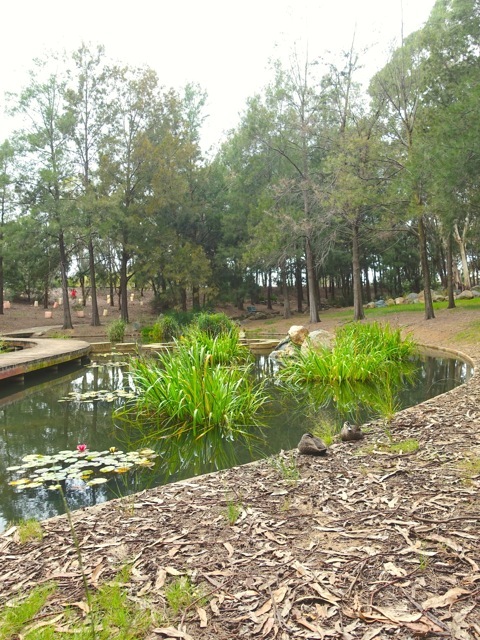 The John Knight Memorial Park on the shores of Lake Ginninderra is a potential wonderland for Canberra families. Whether you want to ride scooters, watch ducks or have a turn on the flying fox, John Knight has it all. This week I had some older experts, Josh (11 years) and Sophie (8 years), to show me around one of their favourite local parks. 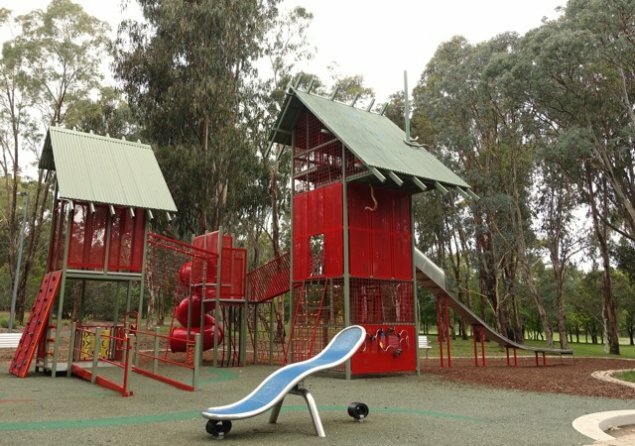 John Knight Park has two play equipment areas, a flying fox and an interactive water trail. Both of the play equipment areas feature activities for different ages. For younger children, there are ground level puzzles and steering wheel that are accessible on foot or via a low level and wide set ramp. Other than these, the rest of the equipment is better suited to older children who enjoy climbing, balancing and going down slides. The snake playground (as its decorations lead it to be called), has a large rock climbing wall that Josh immediately went for as his entry to the two towers of the playground. Sophie preferred to climb the ladders to the top of the tower and take the slide back down. 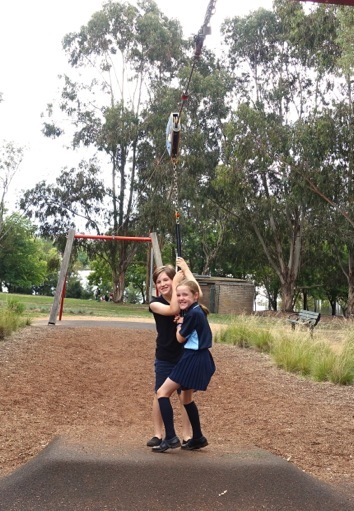 Both experts were adamant that their favourite feature of the park is the flying fox, even when they had to line up for a turn! For grown ups, there are benches and rock walls to sit on when all the playing tires you out. The local gumtrees provide excellent shade and respite from the heat of the day. The gums shelter the flying fox, the snake playground and the water trail. The other equipment is under two shade cloths which keep it pretty cool as well. The water trail is a unique feature, with three pond areas and a stream that runs from the top of the park down to the lake’s edge. The residential ducks provide natural entertainment and if you are lucky you may even see some ducklings! Within the park there are also barbeques and sheltered picnic tables, bins, public toilets and water bubblers. Parking is easy and close-by; it’s free for three hours. There are many grassy areas to set up a picnic, play a ball game or just relax and listen to the birds. 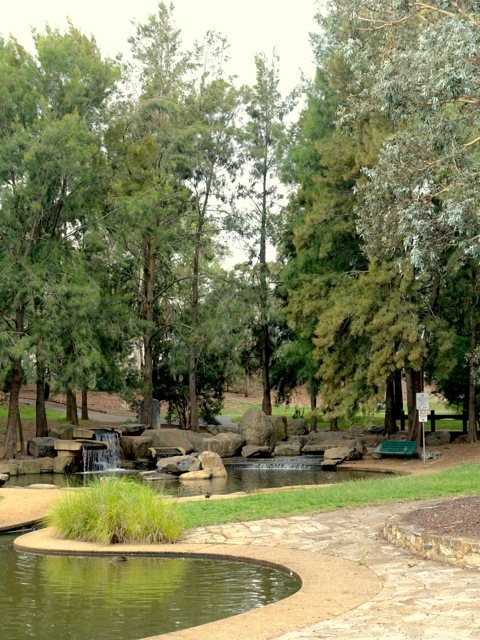 If you forget to bring snacks though, it’s a short waterside stroll to the Belconnen Mall to refuel for more playing. Well said experts. Now it’s my turn on the flying fox! I remember going to this park as a child, Im pleased to see the improvements, and that the snakes made it through the reno’s!